An innovative use of agri-environment support payments in Romania by a grazing association, in partnership with its local authority, to conserve biodiversity on common grazing land whilst also supporting local business and community development. 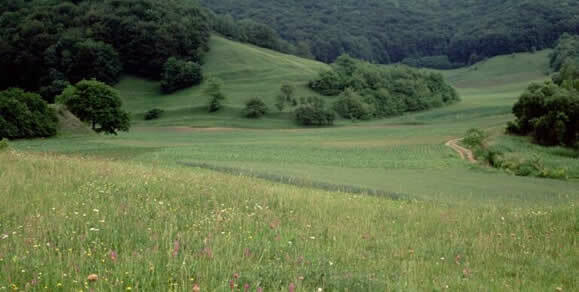 Transylvania is dominated by a traditional system of small-scale, low input – and very high nature value - agriculture. However, the continued maintenance of these farming systems is threatened by their declining profitability and the continuing trend towards rural depopulation. Faced with these challenges, a group of 20 farmers from the Seica Mare commune in Sibiu County formed the CALVA Grazing Association in 2010 to make innovative use of the agri-environment payments available in Romania. The overall aim of the CALVA Grazing Association is to work co-operatively to make full use of the agri-environment payments in the Romanian RDP to protect the local landscape and natural heritage through the maintenance of traditional farming practices on common grazing land - whilst also: a) developing the livelihoods of the association members and b) supporting community investments in buildings, equipment, training, events etc. The CALVA Association has a 5-year rental contract on 940 ha of common grazing land that is the property of the Seica Mare Town Hall. Based upon this, the Association successfully applied for agri-environment payments totalling around €200 000 per year for the maintenance of traditional farming practices on the local high nature value (HNV) grasslands. A proportion of the income received from these agri-environment payments is then committed to a local investment / community development fund. Innovative use of agri-environment payments by the CALVA Association has not only led to landscape and biodiversity conservation on the local HNV grasslands, but also financed a local development fund which has supported the processing of local farm products; improvement of livestock breeding; vocational training of Association members and other local people, and; a number of local cultural initiatives. The Association has also applied for organic certification on 238 ha of land. The CALVA Association is a useful model for other grazing associations interested to form partnerships with local authorities in order make use of common grazing land for economic, environmental and social purposes. However, during the first years of such an initiative it is difficult to meet the initial expectations of the farmers and decision-making processes can be slow as everything needs to be negotiated and discussed between the members.